Frederick Hans Hansen passed away January 4, 2019, at Weston County Manor from complications of Alzheimer’s. Fred was born January 17, 1936, in Newcastle to Carl and Ella (Toth) Hansen. He was the seventh of eight children born to this union. Fred was raised on the family ranch outside of Newcastle and graduated from Newcastle High School in May, 1954. After graduation Fred worked in the oilfields around Newcastle. Fred married Barbara Judd on December 28, 1957. To this union three children were born. Rick Dean, Kimmerly Ann, and Todd Carl. He was drafted into the Army March 4, 1958, and actively served until February 10, 1960. Upon returning to Newcastle, he was a member of the Wyoming Army National Guard until February 29, 1964. Fred and Barb made their home in Newcastle until 1963 when the family moved to Casper so their oldest son could attend the Wyoming School for the Deaf. Fred worked at various oilfield service companies as a welder and heavy equipment operator before moving back to Newcastle in 1977 to work at Kerr McGee Jacobs Ranch Mine, where he retired in 1998. Fred’s joy was spending time at the ranch he grew up on and his 40 acres where he set up his saw mill, and stayed very busy thinning, logging, and cutting firewood. He truly believed in forest management and conservation. He instilled in his children and grandchildren a strong work ethic and an appreciation and love of the outdoors. Fred was preceded in death by his son, Rick, his mother and father, two brothers, Jimmy and Bill. 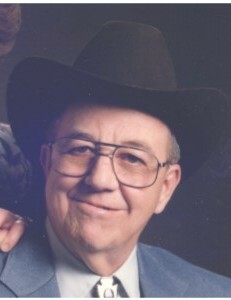 He is survived by his wife, Barb; daughter, Kim (Rocky) Rhoades; son Todd (Cindy) Hansen; six grandchildren; eleven great grandchildren; sisters, Rose (Ervin) Allen; Lorraine Davis; Helen Nicolls; Shirley (Roy) Borgialli; brother, Jack (Betty); numerous nieces and nephews and one aunt, Elizabeth Cummings.